This podcast features a live set by local improviser and concert organizer Michael Rosenstein. This is a rare solo set by Michael, who often performs in ensembles, regularly collaborating with musicians such as Howard Martin and Jesse Kenas Collins. 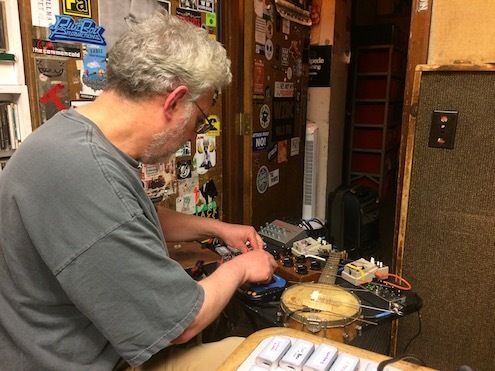 In this set, Michael works with an assortment of homemade instruments, using everyday objects, contact mics, springs, a banjo, and amplified surfaces, as well as field recordings.